INVESTORS! 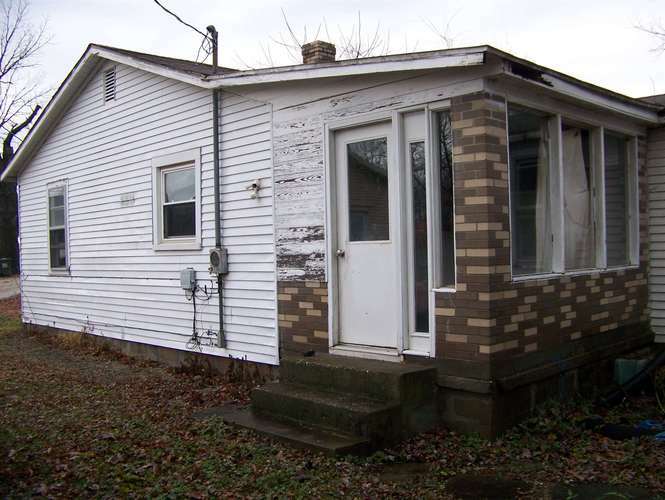 LOOKING FOR ACREAGE ON WEST SIDE WITH HOUSE FOR REHAB? House, Detached Garage on 1.83 Acres! Evansville's North West side! House needs total rehab or demo. Large detached garage needs new door and clean up. Sold "as is, where is" Priced to sell. Don't miss the opportunity to acquire this acreage at a great price. Lot Dimensions:rectangle with one elongated corner. Directions:From Diamond go North on St. Joseph to right on Allens Lane. Property on right. Listing provided courtesy of POSEY COUNTY REALTY.